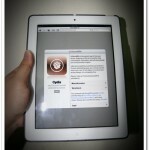 Home » Gadgets » Apple releases iOS 6.1 update! 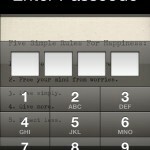 Update now! 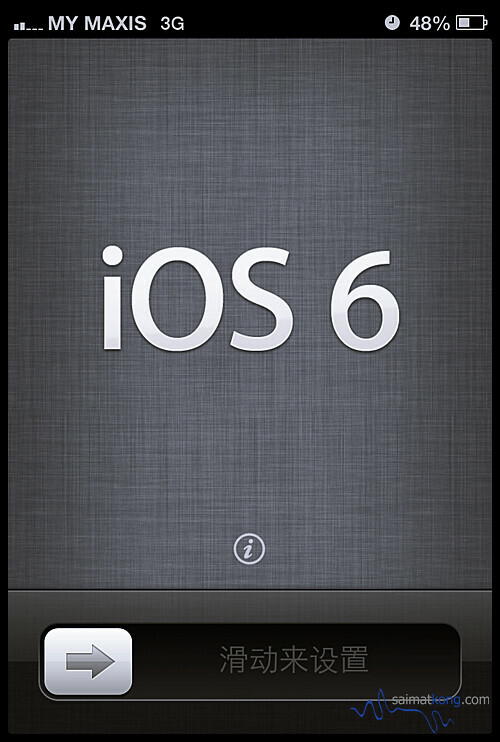 Apple on Monday released its first major update to iOS 6.1, the latest update to its mobile operating system. 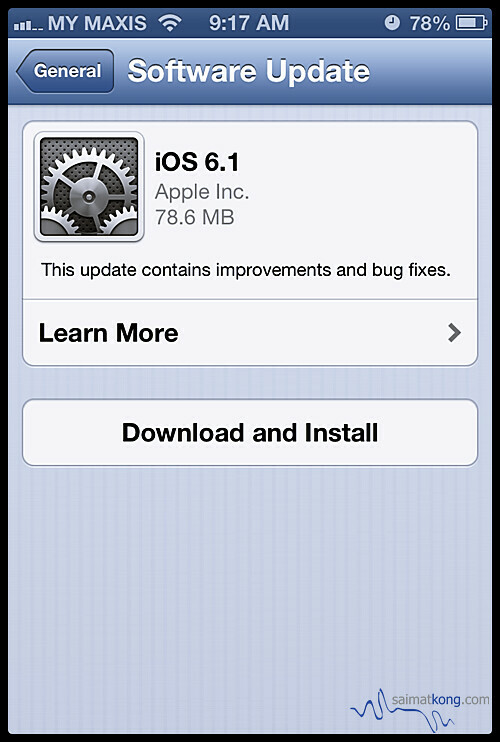 The iOS 6.1 update includes a number of minor changes to the software. The update brings LTE compatibility to 36 new iPhone carriers and 23 new iPad carriers around the world, allowing users of compatible devices : the iPhone 5, fourth-generation iPads, and iPad mini, to take advantage of the faster wireless speeds. 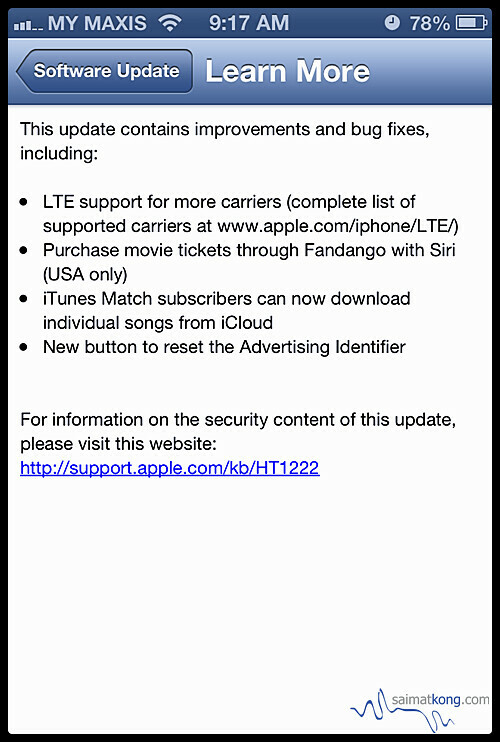 In addition to the LTE upgrades, Apple also tweaked two of its services: iTunes Match and Siri. Users of iOS 6 who were disappointed by the removal of the ability to download individual songs to their iOS device will be utterly delighted to find that it’s been restored as of this update. Siri’s picked up a welcome new skill: You can now use Apple’s virtual assistant to purchase movie tickets via Fandango. That feature’s only available in the U.S., however, and requires that you have the app installed—if you don’t, Siri will prompt you to do so, much as it does with OpenTable. 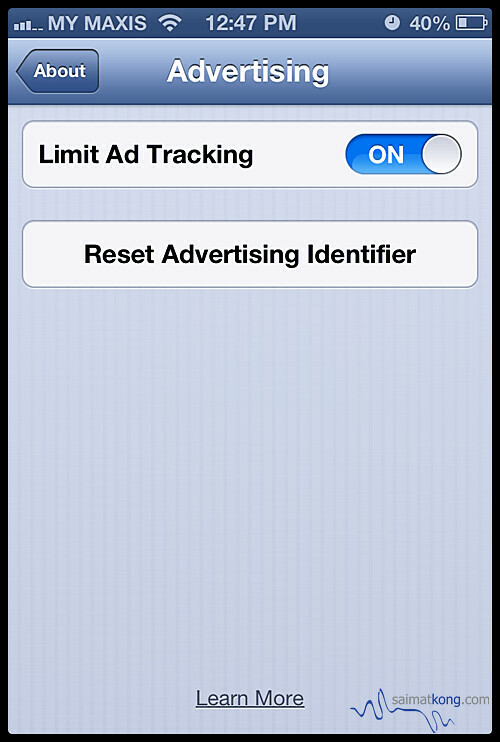 There’s also a new button that lets you reset the Advertising Identifier, which you can find under “Settings -> General -> About -> Advertising”. 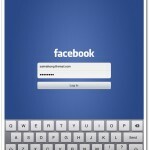 What is the Advertising Identifier? 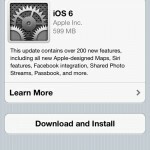 Update your iOS 6.1 now!